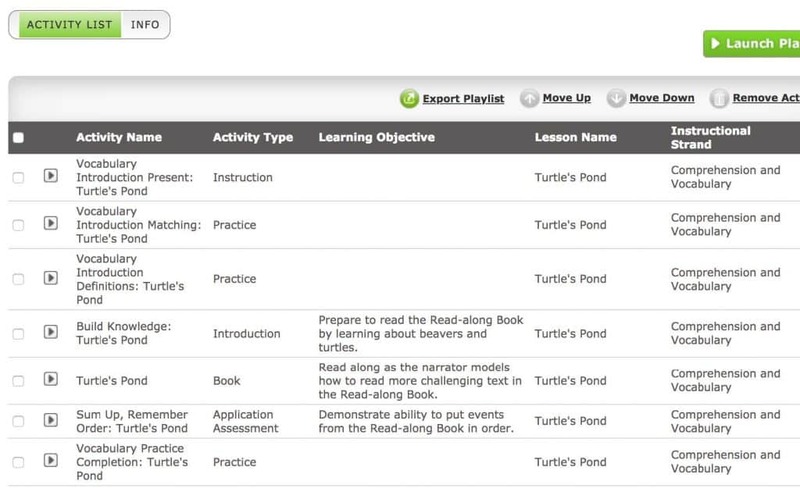 Playlists are designed to help teachers differentiate instruction to meet the needs of their students. 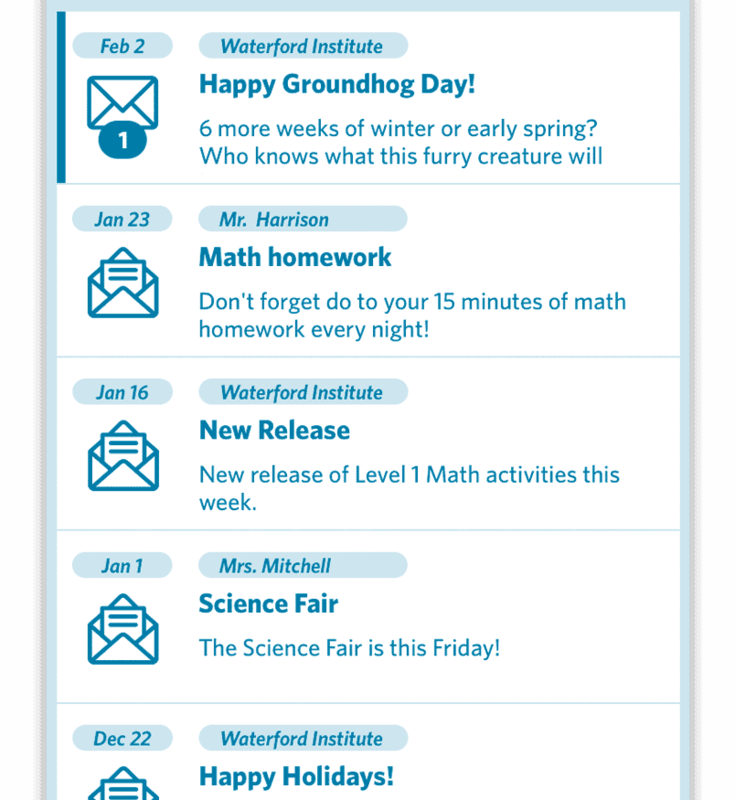 Waterford Early Learning is now available for Android through the Google Play Store. The iOS app has also been updated to include new program activities. Monitor students’ progress towards their individually set goals. 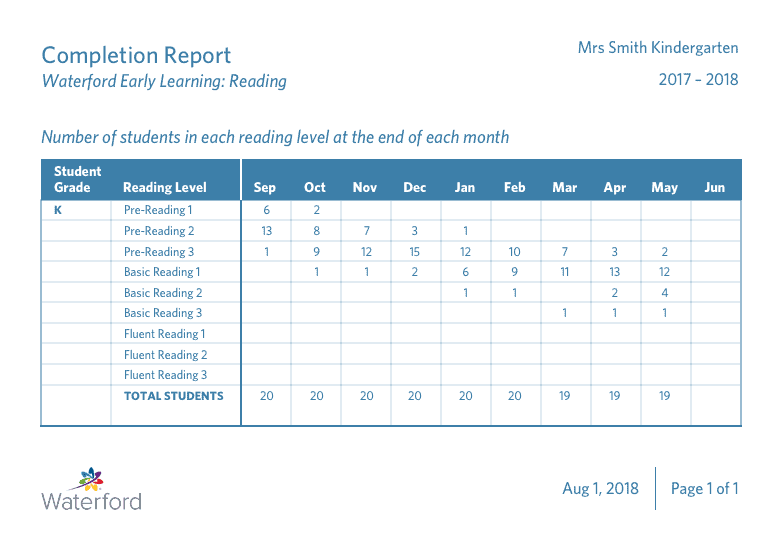 The Completion Report will provide teachers with an at-a-glance view of the students’ current location within each reading level. This Report will show the number of students at every reading level, grouped by grade and month. This report will help teachers determine which students are falling behind and which are keeping up the pace. 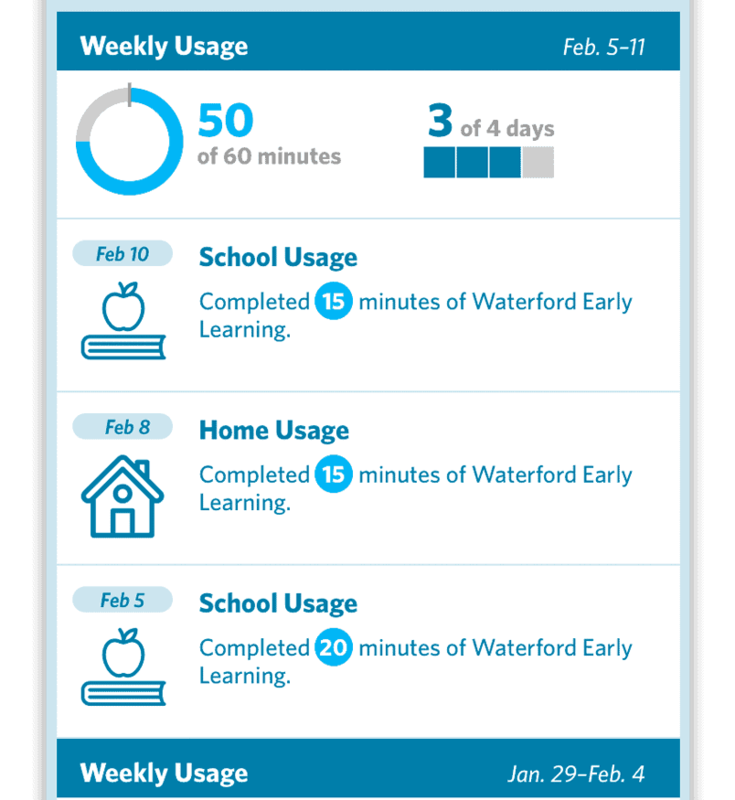 The Usage Report will provide teachers with a month-by-month breakdown of how much time is being spent with Waterford Early Learning. At the classroom level, there will be an additional new report titled Weekly Scores Report. 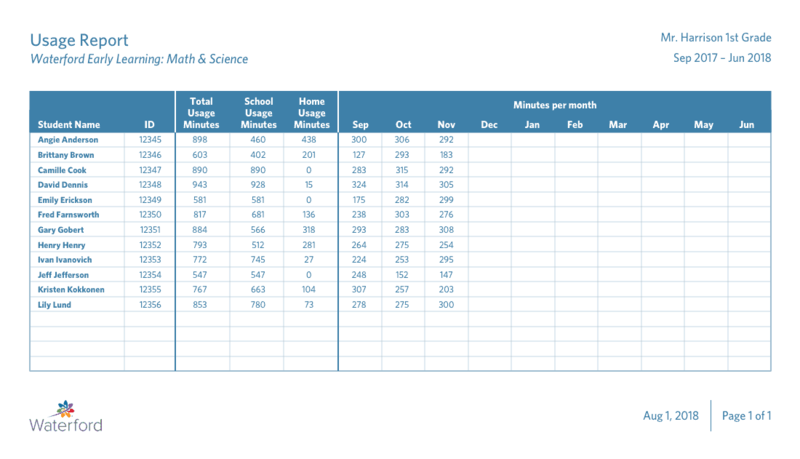 This report provides a rolling weekly review of each student’s average score within each strand of the curriculum to help teachers work individually with students on problem areas. Enables direct messages to be sent to parents via the Mentor smartphone app. 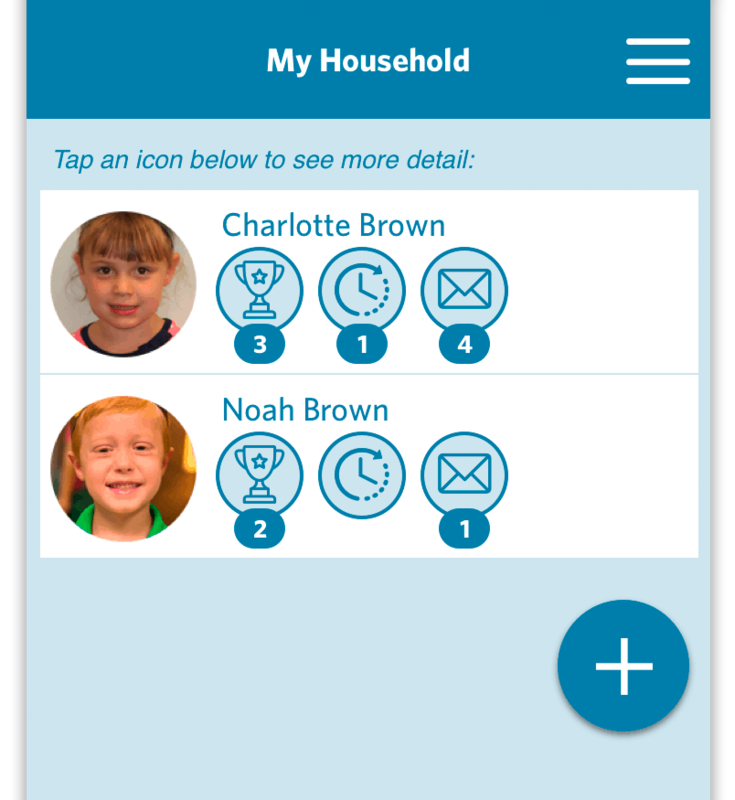 Helps parents be “in the know” about their student’s progress in school in real time. 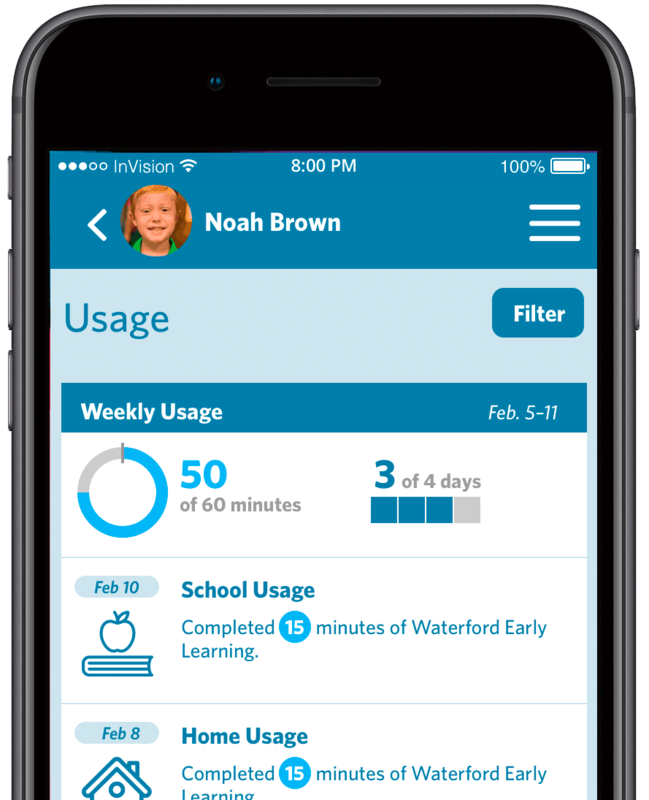 Waterford Mentor will give parents a weekly usage report of their children and help them be in the know about their students progress in real-time. 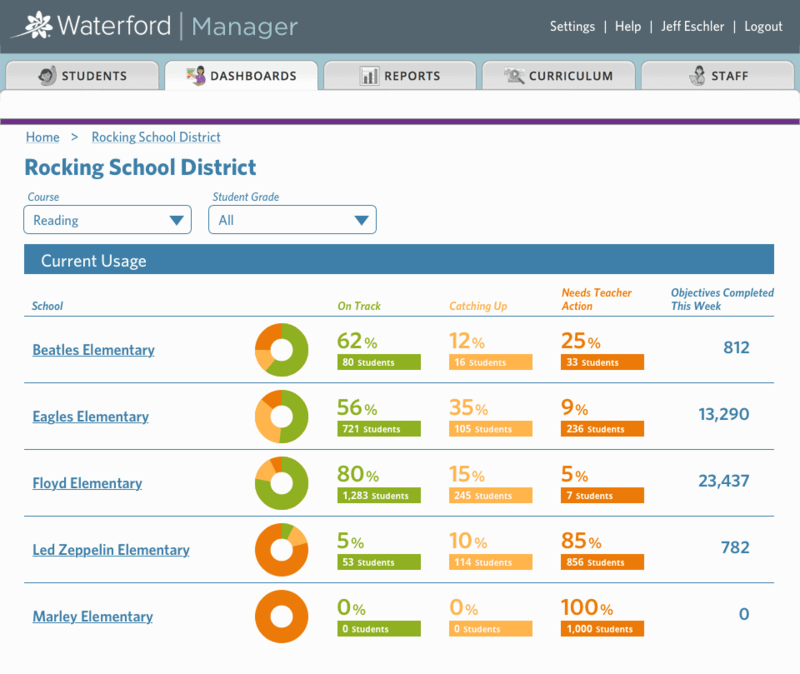 Waterford Mentor will track goal and usage of the app towards the goal. Teachers can message parents directly through the app. This can be an announcement, direct message, or even a reminder about homework.